Our office moved to a new location on October 6th, 2018. Visit us at our new location! 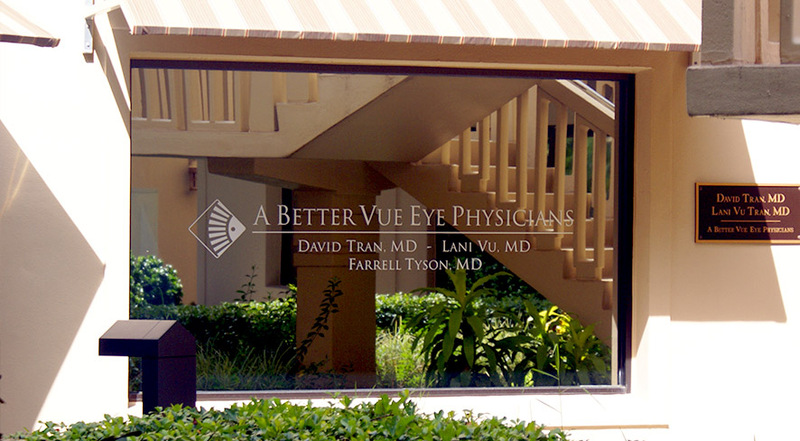 At A Better Vue Eye Physicians, we provide the finest eye care with the patient's needs in mind. Individual attention is taken to ensure the best possible medical and surgical outcome afforded by the most technologically advanced techniques. It is our belief that you as the patient have the final say on how to proceed with your eye care and as such we are here to facilitate a healthy relationship in which the most conservative steps are employed before surgical intervention is considered. When a condition requires surgery, you can rest assured that our board-certified surgeons, Dr. David Tran and Dr. Lani Vu, will personally take the time to thoroughly explain your condition and give recommendations for the most appropriate surgery. 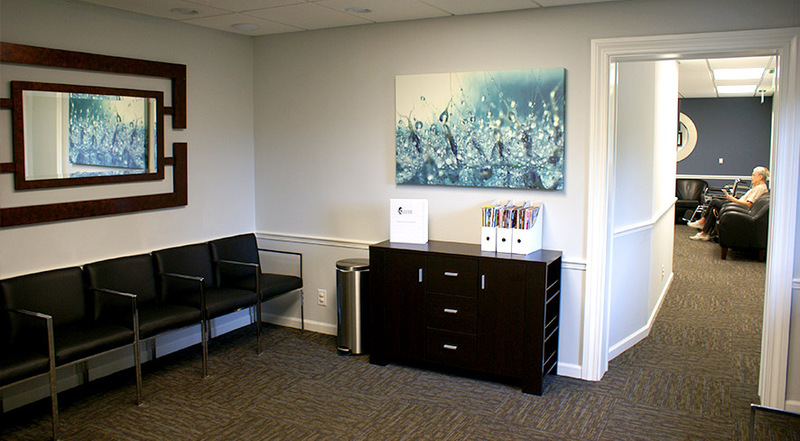 With hundreds of ophthalmic surgeries being performed each year and decades of practical experience, you can feel confident that Dr. Tran and Dr. Vu will obtain the best results. Click Here to learn more about various procedures, surgeries, lenses and eye conditions. Click Here to view your personal eye records. Medical School: George Washington University School of Medicine, Washington, D.C.
Internship: Georgetown University / Washington Hospital Center, Washington, D.C.
Dr. Tran is certified by the American Board of Ophthalmology and is an active member of the American Academy of Ophthalmology, American Medical Association, Collier County Medical Association, Florida Ophthalmology Association. Outside of his medical career, Dr. Tran enjoys golf, billiards, snowboarding, painting and spending time with his wife, Dr. Vu, and his sons, Devin and Liam, as well as his dog, Milo. Dr. Vu is certified by the American Board of Ophthalmology and is an active member of the American Academy of Ophthalmology, American Glaucoma Society, American Medical Association, Collier County Medical Association, Florida Ophthalmology Association. Outside of her medical career, Dr. Vu enjoys cooking, gardening, skiing and spending time with her husband, Dr. Tran, her sons, Devin and Liam, as well as her dog, Milo. 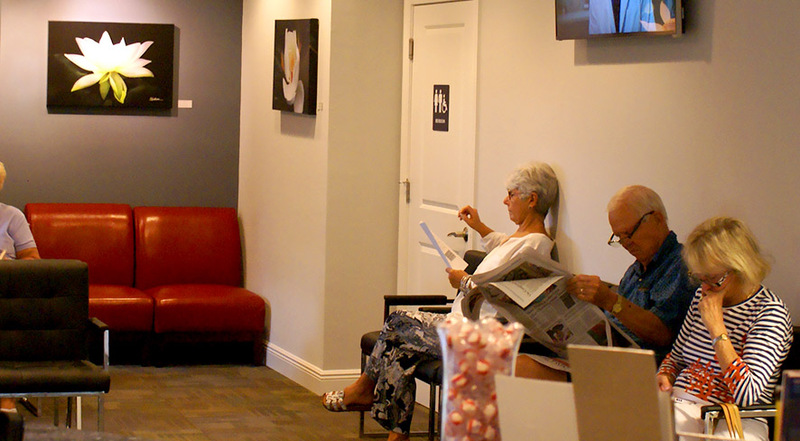 Cataract surgery is a minimally invasive procedure performed on an outpatient basis at Naples Premier Surgery Center. The eye is anesthetized with topical and/or local anesthesia along with IV sedation. A small incision is made, into which an ultrasound probe is inserted to break up or emulsify the cataract into tiny pieces which are then suctioned out of the eye. Once the cataract has been removed, a new artificial intraocular lens is inserted to help improve vision. A stitch is usually not even needed! Each surgical patient is meticulously tested prior to cataract surgery to determine which intraocular lens is best for them. Dr. Tran and Dr. Vu employs the newest technology in intraocular lenses, including the Acrysof® Toric lens for astigmatism, the Restor® multifocal lens, the Tecnis multifocal lens, the Crystalens® accommodative lens, and Trulign Toric accommodative lens. Each of these lenses offers different advantages for post-surgical vision. The most effective lens depends on each patient’s individual preferences and goals for their vision. Toric IOLs are specifically designed for patients with astigmatism. In the past, patients with astigmatism would need eyeglasses or contact lenses even after cataract surgery. Toric IOLs such as the Acrysof® Toric, and the Trulign Toric correct cataracts and astigmatism with just one lens, providing a convenient and affordable solution to your vision needs. In the past, intraocular lenses were monofocal, meaning they were only able to correct distance vision, often leaving patients with the need for reading glasses. Multifocal IOLs such as the Tecnis multifocal or Restor® offer patients freedom from glasses after cataract surgery by improving vision at all distances. Up to 80% of patients do not need to rely on glasses with the Tecnis and Restor® multifocal IOL. Accommodative IOLs such as the Crystalens® offer a full range of restored vision for cataract patients. The Crystalens® mimics the natural lens’ accommodative capabilities, allowing the patient to see clearly across a wide range of distances. Laser-based cataract surgery is when a femtosecond laser is used to break the eye’s natural lens into fragments for easier removal through an incision. 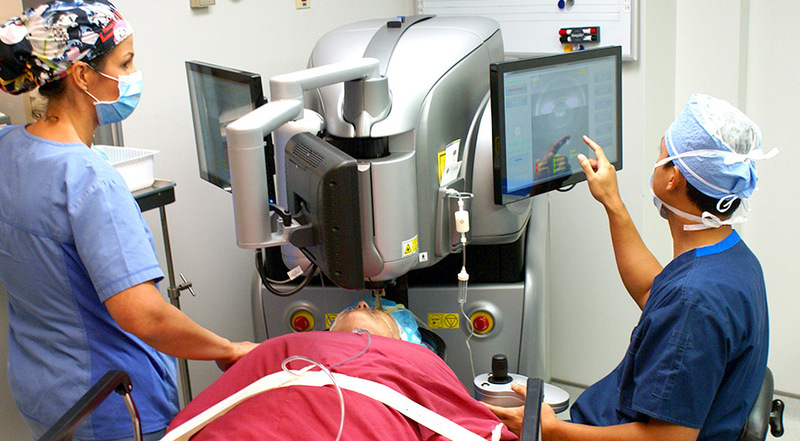 A laser may also be used to make incisions into the eye during the cataract procedure. 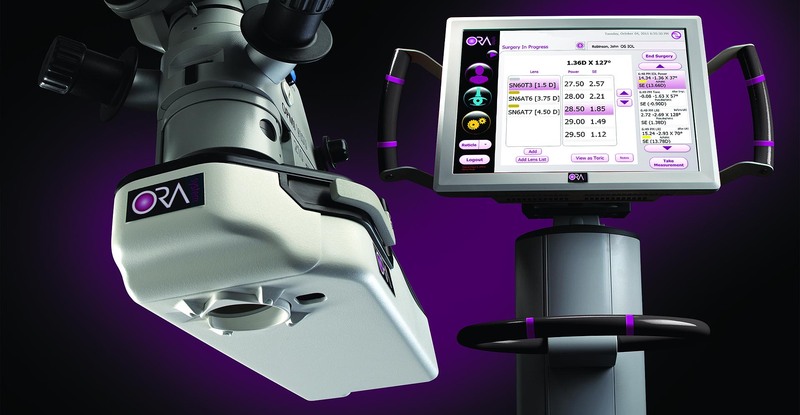 A Better Vue Eye Physicians is one of very few ophthalmology practices in the country to have access to this technology and your surgeon will determine whether or not laser cataract surgery should be included in your treatment plan. 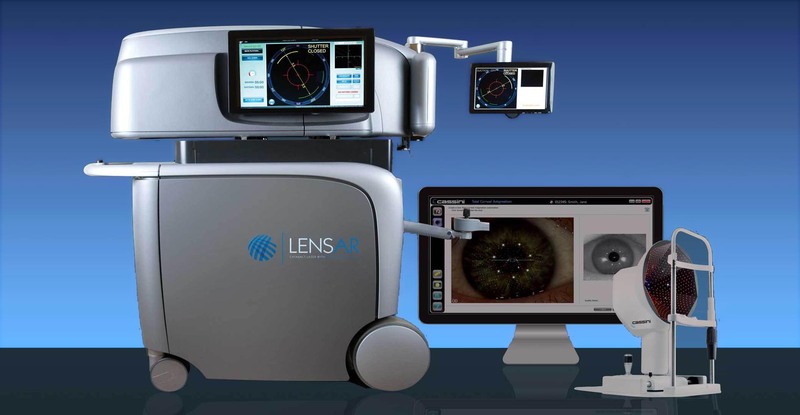 Naples Premier Surgery Center now offers the LENSAR Laser System as part of your advanced cataract procedure because it is safe, effective and uses the same proven laser technology that’s been used in LASIK procedures for over a decade. What is LENSAR and how does it improve my cataract procedure? Your eye works a lot like a camera, using a lens to focus on an image. If your camera lens became cloudy, you'd have a hard time viewing the world around you. Just like a camera, the lenses in your eyes can become cloudy as you age, making it harder for you to see. This natural condition, known as a cataract, affects more than half of Americans by age 80. The LENSAR Laser System allows your surgeon to offer you a better, more precise cataract removal procedure that is customized to your eye. With the LENSAR Laser System, your surgeon can remove your cataract in a more advanced way. Using the LENSAR Laser System ensures that your customized cataract procedure is performed with laser precision. This is because of Augmented Reality, a unique imaging system that provides your surgeon with a reconstructed 3-D view of your eye, in order to help plan and treat your cataract. It used to be that your surgeon needed to wait weeks after performing surgery to determine your vision results. Thanks to ORA, this is no longer the case. Now, during the procedure, your surgeon can take measurements of your eye, make any necessary adjustments and refine your visual outcome. ORA measurements are taken after the clouded cataract is removed, when the surgeon has a clear view, allowing your surgeon to tailor your procedure to your individual eye. No matter what premium cataract procedure you and your surgeon decide upon, you can feel confident that by adding the ORA System, you’ll receive the best possible results. The universal refractive errors myopia, hyperopia, and astigmatism result from flaws in the shape of the cornea. In order to refract light that enters the eye properly, the cornea must be perfectly spherical. The more drastic the flaw in this spherical shape, the more severe the resulting refractive error. The objective of LASIK is to restore the cornea to a more ideal shape so that light can once again be refracted properly. This is accomplished by removing tiny amounts of corneal tissue with a highly precise excimer laser through a flap created in the uppermost layer of the cornea. Most patients emerge from LASIK surgery with 20/20 or better vision and no further need for corrective eyewear such as glasses or contact lenses. Patients who are not suitable candidates for LASIK surgery may be eligible to undergo ASA, a similar procedure that does not require the creation of a corneal flap. The LASIK procedure is performed in our Bonita Springs laser center and requires about 15 minutes altogether to complete. Once the eye has been anesthetized, the surgeon will create a flap in the cornea; in the traditional LASIK procedure, this flap is made with a blade called a microkeratome. The flap is folded back to expose the underlying corneal tissue, which is then reshaped using the excimer laser. Once the necessary alterations have been made, the flap is replaced, and the surgery is complete. Patients are able to return to their homes shortly after the LASIK procedure, and should relax for the rest of the day. Although most patients experience little to no discomfort after surgery, activities that place strain on the eyes, such as reading or operating a computer, should be avoided in the first 24 hours. Anti-inflammatory, antibiotic, or moistening eye drops may be prescribed. 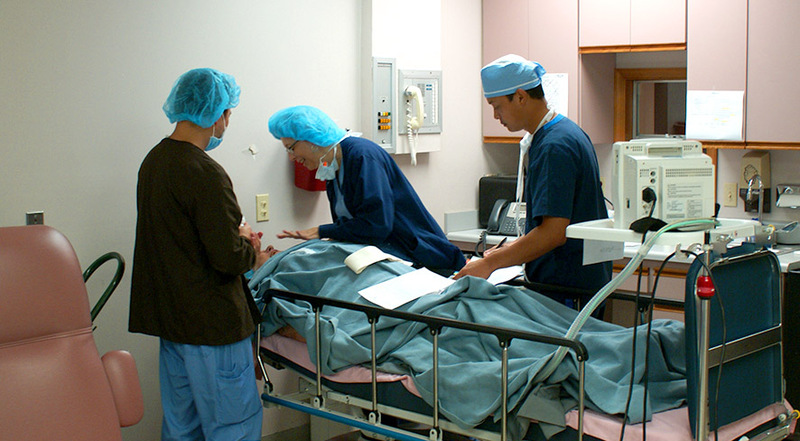 Most patients are able to return to work and other routine activities the day after the procedure. For the first several days, patients should wear protective eye shields at night and sunglasses during the day. After LASIK, most patients experience an immediate improvement in their vision. Over the next several months, vision continues to improve, usually stabilizing in about six months. 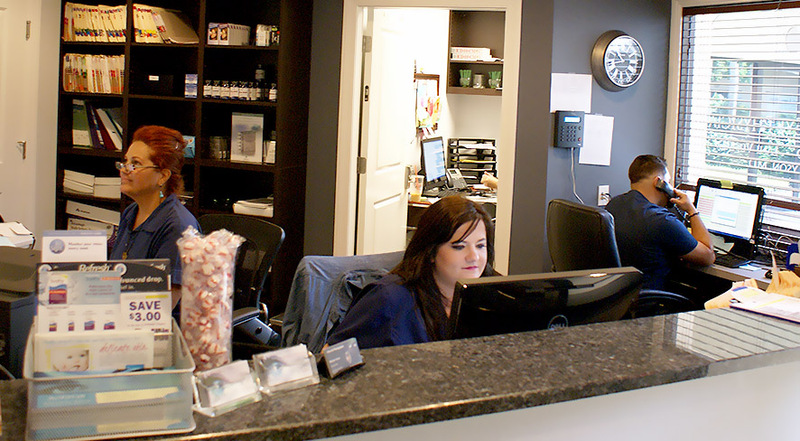 We will monitor your progress through post-operative appointments at our office. If you would like to learn more about LASIK, please contact us today. What Is ASA (Advanced Surface Ablation)? Advanced Surface Ablation (ASA) actually predates LASIK in its availability as a laser refractive surgery. Like LASIK, ASA refractive surgery uses an excimer laser to correct myopia (nearsightedness), hyperopia (farsightedness), and astigmatism through the reshaping of the cornea. The primary difference between the two surgeries lies in how the underlying corneal tissue is accessed. With LASIK, either a microkeratome blade or the IntraLase® laser is used to create a flap in the surface layer of the cornea, called the epithelium. With ASA, the epithelium is removed altogether. Therefore, ASA entails a longer recovery period than LASIK; however, it produces similarly outstanding results while eliminating the possibility of flap-related complications. ASA is generally recommended to patients who wish to restore their vision through refractive surgery, but are not good candidates for LASIK. However, some patients, including many members of the military and professional athletes, choose ASA over LASIK to avoid the corneal flap. At the beginning of your ASA surgery at our Bonita Springs laser center, eye drops will be used to anesthetize your eye. Once the eye has been completely numbed, a protective eyelid holder will be used to prevent you from blinking during the procedure. The epithelium will be removed by the surgeon, and the excimer laser will be used to precisely reshape your cornea, as in LASIK. The epithelium will regrow during your healing period. Following your laser treatment, a protective bandage contact lens will be inserted into your eye to promote regeneration of the epithelium, and you will be given post-operative anti-inflammatory and antibiotic eye drops. You will need someone to drive you home from our laser center after your ASA surgery, as your vision may be blurry for one to five days after treatment. Many patients are able to return to their normal daily activities within three of treatment, and improved vision should be noticeable within one to two weeks, though vision may fluctuate over the next six months as the cornea heals. If you would like to learn more about ASA, please contact us today. SLT is a laser that treats the drain directly to help increase the outflow of fluid. It treats specific cells 'selectively,' leaving the trabecular meshwork intact. For this reason, SLT may be safely repeated. It is not painful, and often can be an alternative to eye drops in early open angle glaucoma. During trabeculectomy (sometimes also called filtration surgery), a new drainage opening is created to bypass the clogged drainage channels of the trabecular meshwork. The opening is partially covered with a flap of tissue from the sclera (the white part of the eye) and the conjunctiva (the clear thin covering over the sclera). This new opening allows fluid (aqueous humor) to drain out of the eye under the conjunctiva and form a little blister, or bubble, called a bleb. The bleb is located just under the upper eyelid, where it is not visible. Tube-shunt surgery involves placing a flexible plastic tube with an attached silicone drainage pouch in the eye to help drain fluid (aqueous humor) from the eye. This type of surgery is usually done after a failed trabeculectomy. If a person already has or is likely to form scar tissue in the eye, this type of surgery may be done initially. Tube-shunt surgery is outpatient, and is done under local anesthesia. A Baerveldt, Molteno, or Ahmed tube shunt may be used by your doctor, depending on the type of glaucoma, and the lowering of IOP needed. One recent state-of-the-art surgical advancement is canaloplasty, a new interventional treatment for glaucoma that gives many hope of saving their vision. This procedure can reduce pressure in the eye by nearly 40 percent - and many glaucoma patients no longer need medications. Canaloplasty is a non-penetrating surgical procedure that does not require a fistula creation. Insertion of a micro-catheter will enlarge your eye's main drainage channel and other natural outflow channels by injecting a sterile, gel-like material while passing the catheter. After the drainage channel is made larger, the micro-catheter is removed and a suture is placed within the canal system and suture tension within this system controls eye pressure. One of the latest advanced surgical procedures is Express Mini -Shunt implantation. The Express mini-shunt is a device that is available as an alternate or concurrent to traditional glaucoma filtering (trabeculectomy) surgery. It is advantageous to both the patient and the doctor because it allows the doctor to provide the patient with a reduction of pressure and a reduction of medications required after the procedure. The doctor can perform this procedure more simply with and without the extra tissue manipulation required with the traditional filtering procedure. With age, sun exposure or genetic factors, loose skin and excess fat may accumulate in your upper and lower eyelids. Blepharoplasty corrects sagging eyelids, excess folds and under-eye pouches. The surgery is performed under local anesthesia with sedation and takes one to two hours. You can resume light activity within three days, and exercise and more vigorous activities in one week. Ptosis is the medical term for drooping of the upper eyelid, a condition that may affect one or both eyes. When the edge of the upper eyelid falls, it may block the upper field of your vision. Symptoms of ptosis include a decreased ability to keep your eyes open, eye strain and eyebrow fatigue from the increased effort needed to raise your eyelids, and fatigue. Acquired ptosis is treated surgically, with the specific operation based on the severity of the ptosis and the strength of the levator muscle. Surgery is designed to reattach the stretched muscle to its normal location. Ectropion is the medical term used to describe an abnormal lower eyelid that turns outward and no longer touches the eye. As a result, the conjunctiva (the mucous membrane that lines the eyelid) may become red and exposed. This condition usually involves one or both lower eyelids but rarely, may affect the upper eyelid(s). If the ectropion is due to laxity of the eyelid's supporting structures, it is best treated surgically. Depending on the cause, surgery can reposition the eyelid back to its normal position against the eye. Entropion is a condition in which an eyelid turns inward, rubbing against the eye, making it red, irritated and sensitive to light and wind. If it is not treated, the condition can lead to excessive tearing, crusting of the eyelid, mucous discharge, and irritation of the eye. A serious inflammation could result in damage to the eye. There are a number of surgical techniques for successfully treating entropion and each surgeon will have a preferred method. The usual treatment for entropion involves tightening of the eyelid and its attachments to restore the lid to its normal position. BOTOX®/Xeomin/Dysport Cosmetic is a simple, effective way to reduce the appearance of facial wrinkles and achieve a revitalized appearance. Botox Cosmetic is a purified chemical made from a special neurotoxin that has been proven to relax the muscles that cause wrinkles in the face. Dr. Tran injects Botox into the skin using a tiny needle. For most patients, treatment takes less than 20 minutes. There is little, if any, discomfort. Once the chemicals in Botox enter and affect the body, they temporarily block the nerve impulses of specifically targeted muscles; this relaxes them and makes the skin appear smoother. If you wish to slow the appearance of aging in the face, around the eyes, and on the forehead, Botox/Xeomin/Dysport may be a good choice. Facial wrinkles can be classified into two distinct types: ‘dynamic wrinkles’ occur when facial muscles contract, while ‘static wrinkles’ remain visible even when those muscles are at rest. Treating dynamic wrinkles with Botox can effectively delay the onset of permanent static wrinkles. Botox/Xeomin/Dysport can also diminish the appearance of creases between eyebrows, do away with persistent crow’s feet, and forehead wrinkles. The results of Botox/Xeomin/Dysport aren’t noticeable until a few days (4 – 8) have passed. Results typically last about 3-6 months. There is no downtime with Botox/Xeomin/Dysport – you can return to your daily activities immediately. The injection areas will be indistinguishable. If you are interested in receiving BOTOX® /Xeomin/Dysport treatment or have any questions regarding its administration, side-effects, or results, feel free to contact us today! Juvederm XC helps replace the hyaluronic acid your skin has lost, adding volume to smooth away facial wrinkles and folds. Juvederm XC achieves its smooth consistency due to an innovative manufacturing process called Hylacross technology. Hylacross gives Juvederm XC its unique smooth-gel properties as well as robust gel structure that holds up over time. That’s why Juvederm XC is the first smooth-consistency hyaluronic acid gel and the only hyaluronic acid filler that’s FDA approved to last up to 1 year with only 1 treatment. Juvederm XC is formulated with lidocaine, a common anesthetic, to provide a more comfortable experience during and after treatment. It provides the smooth, natural-looking results you expect with the improved comfort you want. A cataract is a clouding of the lens in the eye that affects vision. It can be compared to a window that is frosted or 'fogged' with steam. Most cataracts are related to aging. Cataracts are very common in older people. By age 80, more than half of all Americans have either a cataract or have had cataract surgery. A cataract is not a film over the eye. A cataract is not caused by overusing the eyes. A cataract cannot spread from one eye to the other. A cataract is not a cause of irreversible blindness. A thorough eye examination by your eye doctor can detect the presence and extent of a cataract, as well as any other conditions that may be causing blurred vision or other symptoms. There may be other reasons for visual loss in addition to the cataract, particularly problems involving the retina or optic nerve. If these problems are present, removal of the cataract may improve vision, but perfect sight may not be possible. If such conditions are severe, removal of the cataract may not result in any improvement in vision. Your eye doctor can tell you how much visual improvement is likely. How quickly the cataract develops varies among individuals, and may vary even between the two eyes. Most age-related cataracts progress gradually over a period of years. Other cataracts, especially younger people and people with diabetes, may progress rapidly over a few months. It is not possible to predict exactly how fast the cataracts will develop in any person. Surgery is the only way a cataract can be removed. Laser cannot remove a cataract. If symptoms from a cataract are mild, a change of glasses may be all that is needed for you to function more comfortably. There are no medications, dietary supplements, or exercises that have been shown to prevent or cure cataracts. 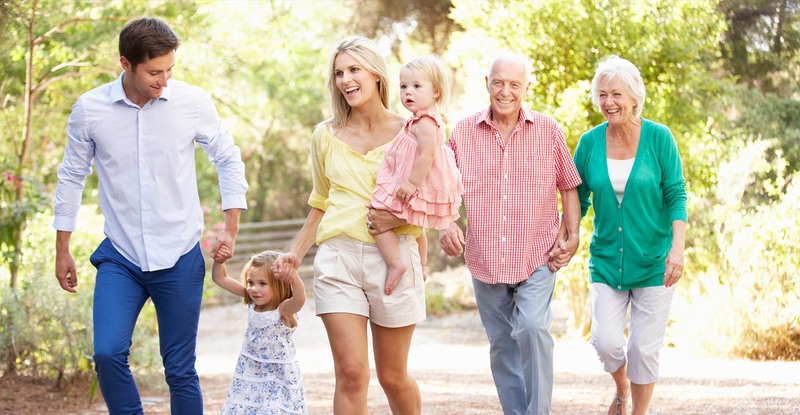 Protection from excessive sunlight may help prevent or slow the progression of cataracts. Sunglasses that screen out ultraviolet (UV) light rays or regular eyeglasses with a clear, anti-UV coating offer this protection. Cataract surgery should be considered when cataracts cause enough loss of vision to interfere with daily activities. It is not true that cataracts need to be 'ripe' before they can be removed. However, cataracts do not need to be removed until you are ready. 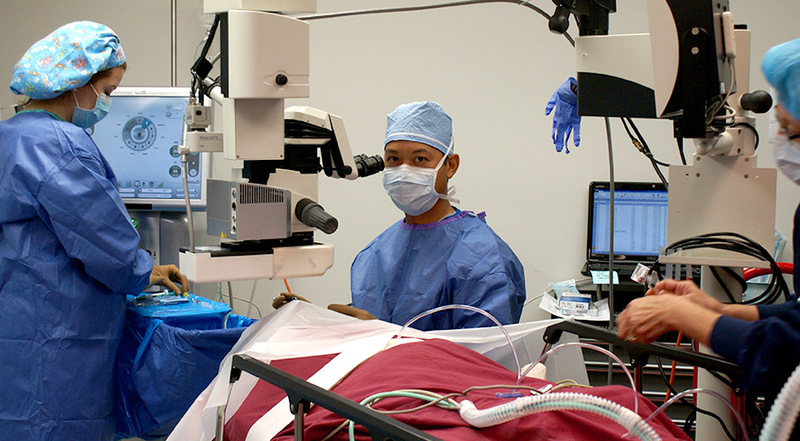 Cataract surgery can be performed when your visual needs require it. You must decide if you can see to do your job and drive safely or, if you can read and watch TV in comfort. Can you see well enough to perform daily tasks, such as cooking, shopping, yard work or taking medications without difficulty? Based on your symptoms, you and your eye doctor should decide together when surgery is appropriate. Over 1.4 million people have cataract surgery each year in the United States, and 95% of those surgeries are performed with no complications. During cataract surgery, which is usually performed under local or topical anesthesia as an outpatient procedure, the cloudy lens is removed from the eye. In most cases, the focusing power of the natural lens is restored by replacing it with a permanent intra-ocular lens implant. Your ophthalmologist performs this delicate surgery using a microscope, miniature instruments and other modern technology. You will have to take eye drops your eye doctor directs and be seen for several follow-up visits to monitor the healing process. Cataract surgery is a highly successful procedure. Improved vision is the result in over 95% of cases, unless there is a problem with the cornea, retina, optic nerve or other structures. It is important to understand that complications can occur during or after the surgery, some severe enough to limit vision. If you experience even the slightest problem after cataract surgery, your ophthalmologist will want to hear from you immediately. Yes, you can never get another cataract. However, in some people who have cataract surgery, the natural capsule that supports the intra-ocular lens becomes cloudy later on. Laser surgery is used to open this cloudy capsule, restoring clear vision. This is a very minor procedure. Cataracts are a common cause of poor vision, particularly for the elderly, but they are treatable. Your eye doctor can tell you whether cataract or some other problem is the cause for vision loss, and help you decide if cataract surgery is appropriate for you. If you need an eye examination to evaluate the need for cataract surgery, please contact our office at 239-262-2020 to make an appointment. 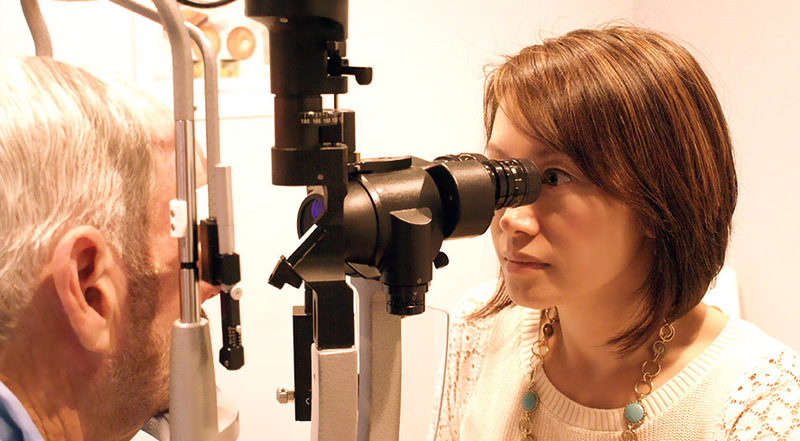 Most medical insurances include Medicare pay for these eye health examinations. The optic nerve is a bundle of more than 1.2 million nerve fibers. It connects the retina to the brain. (See diagram below.) The retina is the light-sensitive tissue at the back of the eye. A healthy optic nerve is necessary for good vision. In the front of the eye is a space called the anterior chamber. A clear fluid flows continuously in and out of the chamber and nourishes nearby tissues. The fluid leaves the chamber at the open angle where the cornea and iris meet. (See diagram below.) When the fluid reaches the angle, it flows through a spongy meshwork, like a drain, and leaves the eye. Sometimes, when the fluid reaches the angle, it passes too slowly through the meshwork drain. As the fluid builds up, the pressure inside the eye rises to a level that may damage the optic nerve. When the optic nerve is damaged from increased pressure, open-angle glaucoma--and vision loss--may result. That's why controlling pressure inside the eye is important. Not necessarily. Not every person with increased eye pressure will develop glaucoma. Some people can tolerate higher eye pressure better than others. Also, a certain level of eye pressure may be high for one person but normal for another. Whether you develop glaucoma depends on the level of pressure your optic nerve can tolerate without being damaged. This level is different for each person. That's why a comprehensive dilated eye exam is very important. It can help your eye care professional determine what level of eye pressure is normal for you. A comprehensive dilated eye exam can reveal more risk factors, such as high eye pressure, thinness of the cornea, and abnormal optic nerve anatomy. In some people with certain combinations of these high-risk factors, medicines in the form of eyedrops reduce the risk of developing glaucoma by about half. Medicare covers an annual comprehensive dilated eye exam for some people at high risk for glaucoma. Studies have shown that the early detection and treatment of glaucoma, before it causes major vision loss, is the best way to control the disease. So, if you fall into one of the high-risk groups for the disease, make sure to have your eyes examined through dilated pupils every two years by an eye care professional. If you are being treated for glaucoma, be sure to take your glaucoma medicine every day. See your eye care professional regularly. You also can help protect the vision of family members and friends who may be at high risk for glaucoma--African Americans over age 40; everyone over age 60, especially Mexican Americans; and people with a family history of the disease. Encourage them to have a comprehensive dilated eye exam at least once every two years. Remember: Lowering eye pressure in glaucoma's early stages slows progression of the disease and helps save vision. At first, there are no symptoms. Vision stays normal, and there is no pain. However, as the disease progresses, a person with glaucoma may notice his or her side vision gradually failing. That is, objects in front may still be seen clearly, but objects to the side may be missed. As glaucoma remains untreated, people may miss objects to the side and out of the corner of their eye. Without treatment, people with glaucoma will slowly lose their peripheral (side) vision. They seem to be looking through a tunnel. Over time, straight-ahead vision may decrease until no vision remains. Glaucoma can develop in one or both eyes. Medicines, in the form of eyedrops or pills, are the most common early treatment for glaucoma. Some medicines cause the eye to make less fluid. Others lower pressure by helping fluid drain from the eye. Before you begin glaucoma treatment, tell your eye care professional about other medicines you may be taking. Sometimes the drops can interfere with the way other medicines work. Glaucoma medicines may be taken several times a day. Most people have no problems. However, some medicines can cause headaches or other side effects. For example, drops may cause stinging, burning, and redness in the eyes. Many drugs are available to treat glaucoma. If you have problems with one medicine, tell your eye care professional. Treatment with a different dose or a new drug may be possible. Because glaucoma often has no symptoms, people may be tempted to stop taking, or may forget to take, their medicine. You need to use the drops or pills as long as they help control your eye pressure. Regular use is very important. Make sure your eye care professional shows you how to put the drops into your eye. Laser trabeculoplasty. Laser trabeculoplasty helps fluid drain out of the eye. Your doctor may suggest this step at any time. In many cases, you need to keep taking glaucoma drugs after this procedure. Laser trabeculoplasty is performed in your doctor's office or eye clinic. Before the surgery, numbing drops will be applied to your eye. 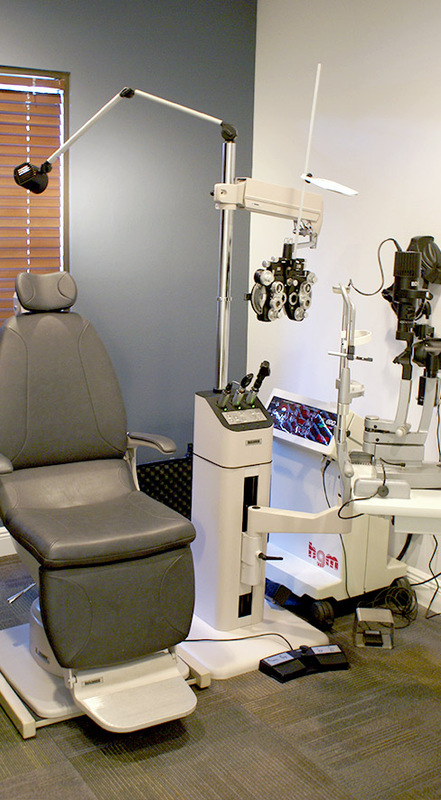 As you sit facing the laser machine, your doctor will hold a special lens to your eye. A high-intensity beam of light is aimed at the lens and reflected onto the meshwork inside your eye. You may see flashes of bright green or red light. The laser makes several evenly spaced burns that stretch the drainage holes in the meshwork. This allows the fluid to drain better. Like any surgery, laser surgery can cause side effects, such as inflammation. Your doctor may give you some drops to take home for any soreness or inflammation inside the eye. You need to make several follow-up visits to have your eye pressure monitored. If you have glaucoma in both eyes, only one eye will be treated at a time. Laser treatments for each eye will be scheduled several days to several weeks apart. Studies show that laser surgery is very good at reducing the pressure in some patients. However, its effects can wear off over time. Your doctor may suggest further treatment. Conventional surgery makes a new opening for the fluid to leave the eye. (See diagram.) Your doctor may suggest this treatment at any time. Conventional surgery often is done after medicines and laser surgery have failed to control pressure. 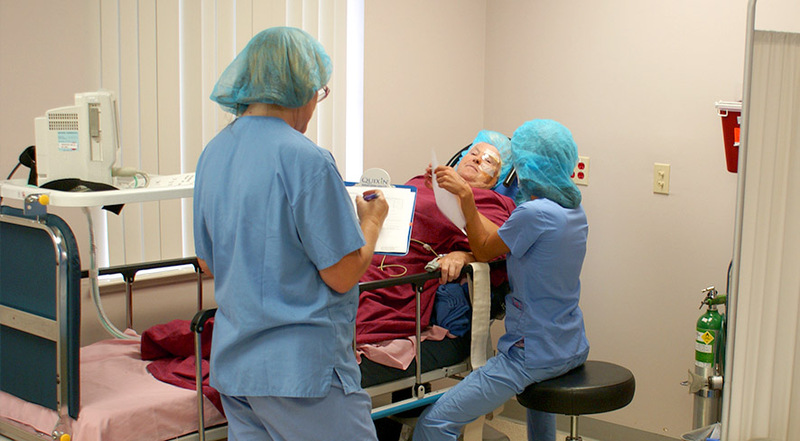 Conventional surgery is performed in an eye clinic or hospital. Before the surgery, you will be given medicine to help you relax. Your doctor will make small injections around the eye to numb it. A small piece of tissue is removed to create a new channel for the fluid to drain from the eye. For several weeks after the surgery, you must put drops in the eye to fight infection and inflammation. These drops will be different from those you may have been using before surgery. 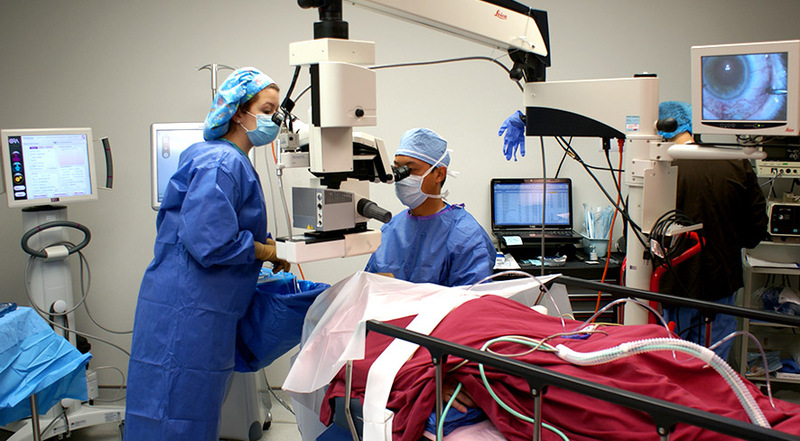 As with laser surgery, conventional surgery is performed on one eye at a time. Usually the operations are four to six weeks apart. Conventional surgery is about 60 to 80 percent effective at lowering eye pressure. If the new drainage opening narrows, a second operation may be needed. Conventional surgery works best if you have not had previous eye surgery, such as a cataract operation. In some instances, your vision may not be as good as it was before conventional surgery. Conventional surgery can cause side effects, including cataract, problems with the cornea, and inflammation or infection inside the eye. The buildup of fluid in the back of the eye may cause some patients to see shadows in their vision. If you have any of these problems, tell your doctor so a treatment plan can be developed. *Though it sounds contradictory, sometimes the eye will actually produce excessive tears, and overflow. The eye becomes irritated by the lack of lubrication and attempts to cleanse itself with a flood of tears. This is a similar phenomenon to the tearing that occurs when foreign matter is stuck in one's eye. Controlling one's environment: Patients should avoid situations in which tears evaporate quickly; for example, by using a humidifier in a dry house, wearing wrap-around glasses in the wind, and not smoking. You may sometimes see small specks or clouds moving in your field of vision. They are called floaters. You can often see them when looking at a plain background, like a blank wall or clue sky. Floaters are actually tiny clumps of gel or cells inside the vitreous, the clear jelly-like fluid that fills the inside of your eye. While these objects look like they are in front of your eye, they are actually floating inside. What you see are the shadows they cast on the retina, the nerve layer at the back of the eye that senses light and allows you to see. 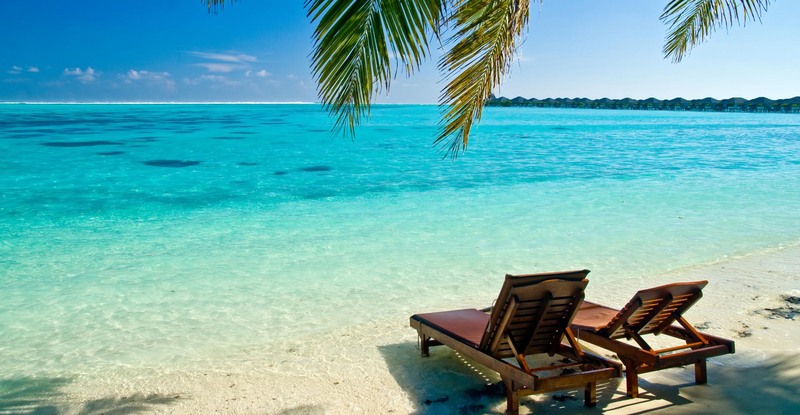 Floaters can have different shapes: little dots, circles, lines, clouds or cobwebs. Floaters can get in the way of clear vision, which may be quite annoying, especially if you are trying to read. You can try moving your eyes, looking up and then down to move the floaters out of the way. While some floaters may remain in your vision, many of them will fade over time and become less bothersome. Even if you have had some floaters for years, you should have an eye examination immediately if you notice new ones. When the vitreous gel rubs or pulls on the retina, you may see what look like flashing lights or lightning streaks. You may have experienced this same sensation if you have ever been hit in the eye and seen “stars”. The flashes of light can appear off and on for several weeks or months. As we grow older, it is more common to experience flashes. If you notice the sudden appearance of light flashes, you should visit your ophthalmologist immediately to see if the retina has been torn. Some people experience flashes of light that appear as jagged lines or “heat waves” in both eyes, often lasting 10-20 minutes. These types of flashes are usually caused by a spasm of blood vessels in the brain, which is called a migraine. If a headache follows the flashes, it is called a migraine headache, However, jagged lines or “heat waves” can occur without a headache. In this case, the light flashes are called ophthalmic migraine, or migraine without headache. 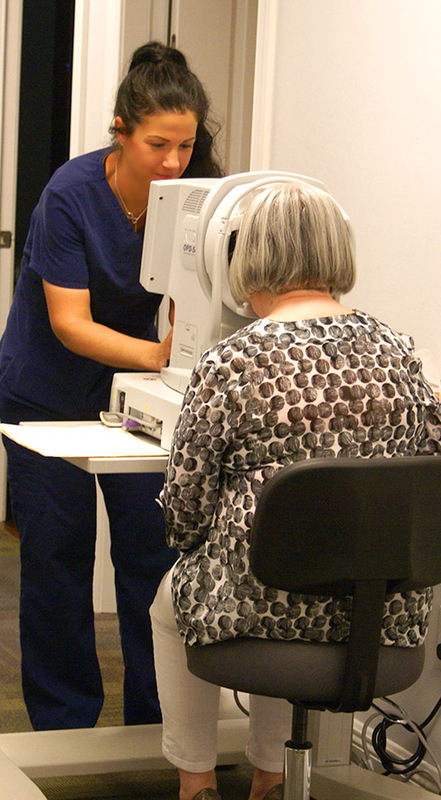 Eye exams are recommended periodically, with the interval differing for various age groups. In the first three years of infancy, a child should have vision checked along with normal pediatric checkups. Between the ages of three and six (the most crucial period of eye development) an eye exam should be scheduled every year or two. After that period, until adulthood, exams should be scheduled as necessary. During the twenties one should have at least one exam. During the thirties one should have at least two exams. In the forties, fifties, and early sixties, one should schedule an exam every two to four years. For seniors, an exam every year is recommended. In addition to these basic guidelines, people with a family history of eye problems, those monitoring a diagnosed eye disease, or those with certain high risk diseases such as diabetes, it is recommended that exams should be performed at least once a year. Regular eye exams are the best way to keep you seeing your world clearly. I have perfect vision. Why should I have an eye exam? I have floaters that look like dots, gnats, flies, cobwebs. Is it important to have it checked out immediately? Symptoms of floaters may or may not be a sign of an impending serious condition. In general, it is a process of aging or a benign pre-existing eye condition. However, in rare cases floaters can be a sign of serious retinal damage. It is imperative you have a thorough eye exam immediately to rule out the more serious condition. If diagnosed early a simple laser repair may be performed but if diagnosed later the condition may require an invasive surgical procedure.